Do you want to "Build-A-Scarecrow"? Hay Days comes to St. Marys every year at the beginning of October. It is a month of fun activities for fall. The main street in St. Marys, Osborne Street, will be decorated for the season with scarecrows from businesses, individuals and organizations. Each year locals have a great time coming up with the most innovative and creative scarecrows. It seems like the “population” in town has increased with the new residents and there is hay covering everything! It is a fun way to not only get involved with your community but to also get out and enjoy this great weather. The annual Hay Days will take place October 8-29th, with numerous events throughout the month in downtown St. Marys, including the “Build-A-Scarecrow” event which takes place Saturday, October 8th. 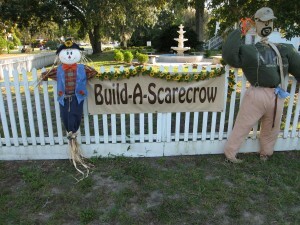 You can build your own scarecrow to take home or put on display downtown. This event is held at Orange Hall and will last from 10am-12pm. 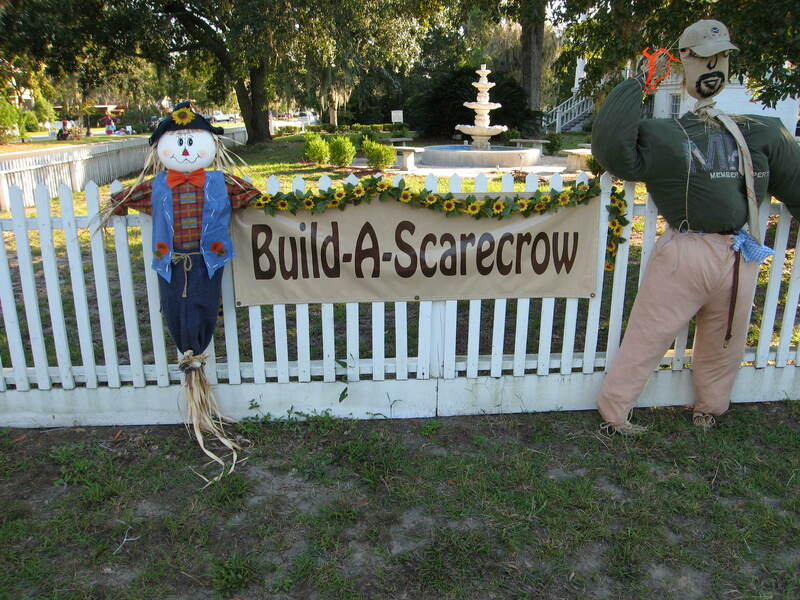 When you register, you will receive a “Scarecrow Kit” for $20 ($25 at door, if available) that will contain everything you need to build your own. Registration is encouraged because this activity is limited to the first 50 people. Also, come out and enjoy all the hard work and creative thinking that went into building these scarecrows during the “Scarecrow Stroll” on Tuesday, October 11th from 5 to 7pm. Tuesday night during the Scarecrow Stroll dress up in your best costumes. There will be trick or treating, hay rides and bounce houses. There will also be a haunted history tour on October 28th from 6 to 9pm. This walking tour includes stops at the Oak Grove cemetery, Submarine Museum, Orange Hall and other stops along the way. October 29th will end the Hay Days but one last event takes place. The inaugural Last Saturday on the Waterfront from 3 to 9pm which will encourage people to visit local businesses in St. Marys. All of these events are great for the whole family. The scarecrows will be around town all month long so at anytime you could take your own stroll down Osborne Street to see all the really cool scarecrows. This is such a fun way for everyone to start the fall season, whether you build a scarecrow or just stroll down the street to enjoy all of them. The city of St. Marys during Hay Days would put anyone in an “I Love Fall” kind of mood!